Electronic Voice Phenomena-EVP's that's what we say here in the paranormal world but you guys already knew that. :) One of the MOST exciting developments in the field of the paranormal is the use of technology to capture unexplained human voices or sounds. That's what we LOVE right??? A voice that is answering our questions or saying something that we KNOW we didn't say. 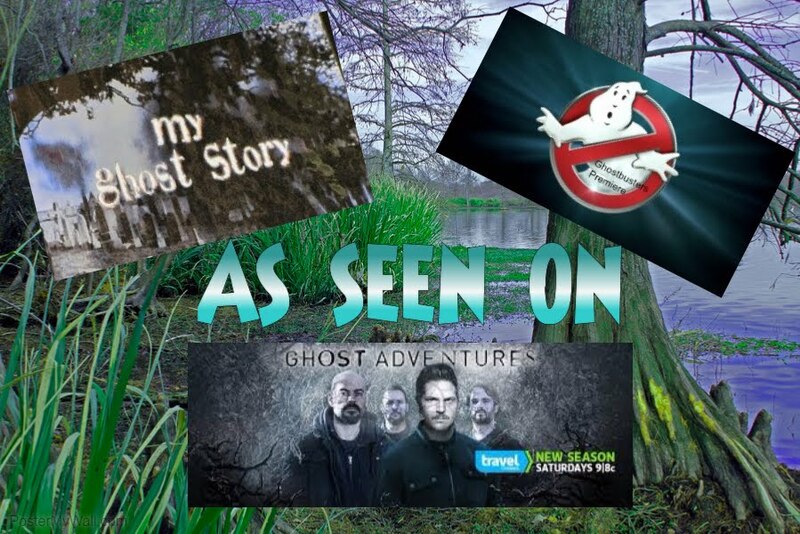 So it is ALL ABOUT GOATMAN'S Bridge this week because I want you guys to join me next month for the Fall Tours starting back as well as watching Zak and the crew from Ghost Adventures this weekend on Sat. night at 8:00CT on the Travel Channel. OLD ALTON BRIDGE, Hickory Creek, TX-Old Alton Bridge (sometimes called Goatman's Bridge - see below) is a historic iron through-truss bridge connecting the cities of Denton, Texas and Copper Canyon, Texas. Built in 1884, by the King Iron Bridge Manufacturing Company, it originally carried horses and later automobiles over Hickory Creek at a location that once was a popular ford for crossing cattle. The bridge takes its name from the abandoned community of Alton, which between 1850-1856 was the seat of Denton County . Long story...short.....There was a black goat farmer named Oscar Washburn. He started becoming well known around the community for selling goats. 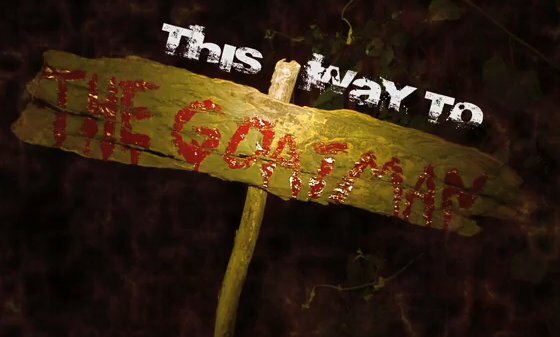 Oscar put up a sign on the Old Alton Bridge that said "this way to goatman's". This was back when the KKK was VERY present in Denton County. They did not like that Oscar was becoming successful. So one night they decided to wait for him on the bridge. When Oscar came to the bridge to cross on his way home, the KKK grabbed him and hung him over the side of the bridge. Later that night they came to check on Oscar and make sure he was dead. They found nothing hanging over the side of the bridge but a noose. No body....no Oscar. This scared the KKK because they didn't want him to talk about what had happen to him so they went to his house.....only to find that Oscar wasn't their but his wife and children were. The KKK drug his wife and children out of the house and brutally murdered them. I have spoken with Oscar several times and he is such a kind, sweet spirit. 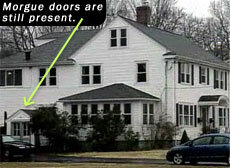 But there is also a spirit I have talked to named Steve and he is a different story! I believe he was the Grand Dragon of the KKK for the North Texas area. He has no remorse for what he has done. I have had soooo many experiences here!!! Some not so good! I have awesome EVP's, pictures of dark shadows, orbs, balls moving on their own and this is the ONLY place that I have EVER been that I have actually been grabbed. I believe Steve gabbed(not touched, but GRABBED) my leg while I was sitting in a chair telling him that I knew who he was and what he did! It was VERY SCARY!!! When I just need my "ghost fix" I just head out to Old Alton....because I know there.....someone ALWAYS wants to talk or be seen.